We kicked off the year with the Royal State Bed, officially launched in March at Kensington Palace with a party that dazzled all that attended. This unique design, inspired by the models used in the 17th and 18th centuries by the monarchs, is one of Savoir's most elaborate beds yet with over 100 hrs of bespoke labor. It traveled the world this year as an ambassador for Savoir and for British, luxury craftsmanship. In July it traveled to New York, where it got a lot of media attention and took centre stage on Fox News breakfast show. A red version, symbolizing joy and good fortune, set sail to China later on in the year and visited Beijing, Shanghai and Taipei. Our showrooms have had a busy year, in June we moved to a new location on the King's Road in London and opened a stunning new showroom in Taipei - a first for Taiwan. In Berlin "British Saturdays' have been sharing the best of British and in London our 'Savoir Nights' have been welcoming friends old and new to talk sleep and design. We took part in numerous events: SuperyachtDESIGN week in London, WestEdge Design fair in California, JSWB in Shanghai and of course Decorex, where a third version on the Royal State Bed, in a gorgeous palette of teal, blue and silver took centre stage on our stand. The Savoir Design Grand Prix, once again brought us fresh designs and young designer talent. 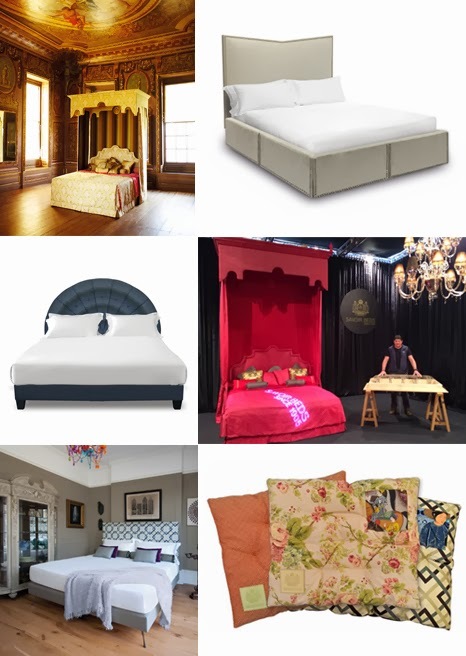 The theme this year… 'ROYAL' of course… inspired contestants from around the world and 3 international finalists had their headboards made by Savoir. The judges chose as the overall winner 'Royal Peacock' a design by Natasha Gupta from KLC school of design. We must say that one of true highlights of the year was collaboration with designer Nicole Fuller Interiors. The 'Talia' bed, designed to evoke a sense of romance, comfort and sumptuous luxury launched the collection in a fantastic event in the New York showroom on the 15th of October. With the launch of our new 'Pet Bed' collection to close the year we think its safe to say that 2013 has been eventful and productive. We have plenty of exciting projects lined up for next year and can't wait to see what else 2014 will bring. Wishing you all a Merry Christmas and a Prosperous New Year. Well! The pictures of Bed are very cool and lovely. I want to buy this type of bed for my sister. I really like this article.